The S Pen has always differentiated the Note series from other flagship smartphones, and each year Samsung has made it a little bit better. 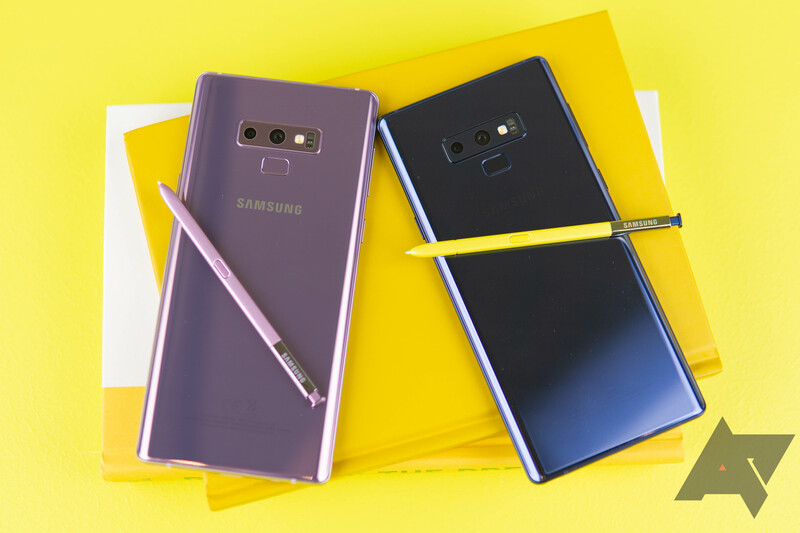 With the Galaxy Note 9, Samsung enhanced the S Pen with Bluetooth connectivity and the ability to supercharge 30 minutes of power in under a minute. 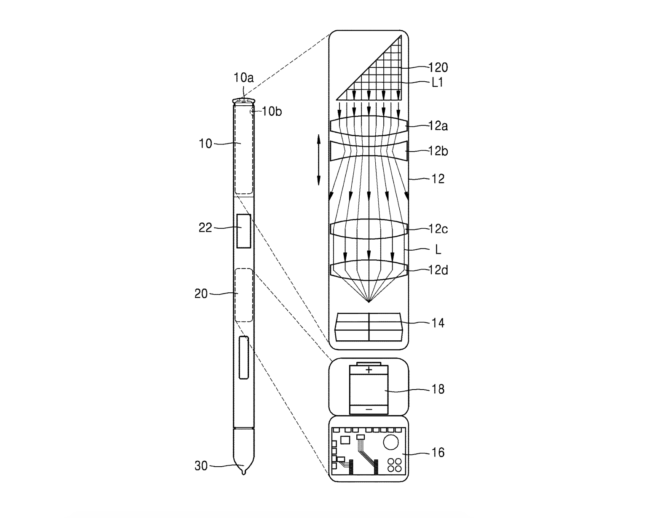 Today, the USPTO has granted a patent that could see the S Pen also used as a camera with an optical zoom — potentially removing the need for a camera notch (or hole-punch). In the patent, Samsung cites that smartphones typically utilize digital zoom to reduce the thickness of the device, despite optical zoom offering better quality of the final image. The patent describes a method of embedding an optical sensor into the S Pen that would comprise of at least one lens and an image. The sensor would be controlled by an external button. The idea of expanding the functionality of an accessory to include a camera may seem like an unnecessary thing to do. However, with the challenge for smartphone design focused on pushing the boundaries of the bezels to provide an all-screen display, it leaves very little room for a camera. Many OEMs opted to implement a notch to house the front-facing camera, while we've seen the upcoming S10 and S10+ cutting holes in the display to avoid the notch. Embedding a camera directly in the S Pen, which is permanently attached to the device anyway, removes the need for a front-facing camera entirely and therefore the requirement for any notch or cut-out. Samsung also makes reference in the patent to possible future slots to house the S Pen in notebooks and desktop displays. The patent was filed in February 2017, and despite it seemingly being an answer to the solve the notch problem, you shouldn't expect to see this on the Note 10.